When answering the question of what prayer is, etymology is always a great place to start. This can be broken into various facets. from precari “to ask, beg, pray” (from PIE root *prek- “to ask, entreat”). From etymology one could say, prayer is making a REQUEST. It is ASKING for favour. Requesting for intervention. When we pray, we are making a petition. What is a petition? A petition is an appeal to authority in respect to a particular cause. Prayer hinges on acknowledging that God is a higher authority, and that he has the power to change things to our favour. No matter how much we write, I am not convinced that we could ever fully define what prayer is. Beyond what dictionaries may say pray is, the nature of God as described in scripture gives us a more in depth insight of what prayer is. So, how do we define prayer, according to scripture? The two verses below summarise it all. 2 Chronicles 7:14 ~ if my people, who are called by my name, will humble themselves and pray and seek my face and turn from their wicked ways, then I will hear from heaven, and I will forgive their sin and will heal their land. Humility causes us to know when we can use help, when we ought to ASK for it, to PETITION the Lord. It will also mean turning away from things that we know are detestable in the sight of the Lord. God as a father seeks to make our relationship personal. He cares for you as an individual. Reasoning together means that there is talking and listening from both parties. The bible tells us that the tearing of the veil when Christ was crucified granted us access to meet with God. You will note from scripture, it used to be priests who met with God. No one else would. The priests had to prepare themselves for these meeting, and cleansed themselves before going into the holy of holies. Christ became man and died, that we may have access to the king on the throne. Today we have that direct access. That is what prayer is. Being able to directly PETITION the king of kings. 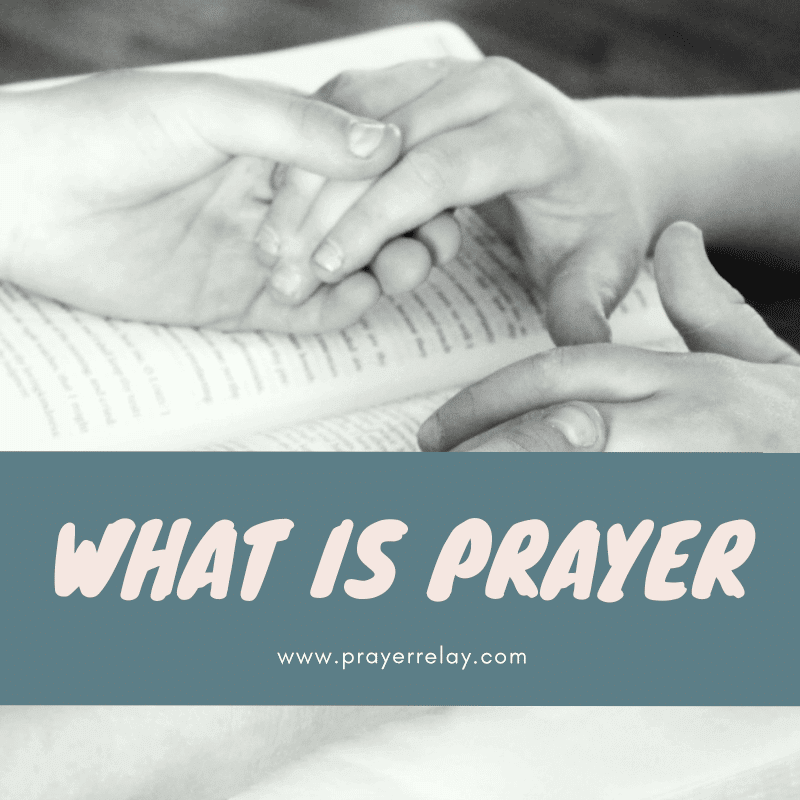 Prayer can be subdivided into various types and forms. These are based on when, why and how it is done. Praying at the start of the day may be referred to as morning prayer, in the afternoon as afternoon prayer, and evening prayer. 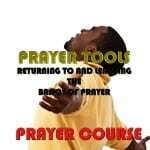 These categories may also include the purpose of the prayer, such as, deliverance prayer. The usual question is usually phrased by saying, “If God is omniscient (all knowing) why pray?” We will answer this question below, but first we will give an incredible example of God in flesh. If Jesus, who was God prayed, he saw the value of prayer. As his disciples we are called to walk in the footsteps that he too walked in, to learn from the examples that he set. John 1 sets the scene as follows In the beginning was the word, and the word as with God, and the word was God. This word became flesh (Jesus) and dwelt among us. Prior to the word dwelling among us, he had been with God. While on earth, he understood that the earthly dimension required that we speak with and remain connected with the father. Prayer was the method by which the word spoke to the father. We are called to pray without ceasing. This is to say that our communication with God ought to be consistent. That is why Jesus prayed, to continually speak with the father in heaven. By definition free will allows us to do as we would. God places multiple choices in our path. I set before you life, and death. Yet, he then directs our footsteps, tells us to “choose life”. Granted we still have the option of choosing death. If we didn’t have an option to choose death, the concept of free will would be annulled. One preacher explained it as, prayer authorises heavenly intervention on earthly matters. Outside of this mankind may be left to his own devices. God is not one that would impose himself upon us. Even salvation is offered, not mandated. The bible says, he stands at the door and knocks. Free will is what permits us to open this door or not. The word of God is one of the ways that he communicates with us. We reciprocate through prayer and obedience, among other things. It is God’s desire that we would have a relationship with him. A key component of this relationship is communication. We understand from scripture that, Adam and the Lord would talk, they would spend time together. That is the design of this relationship. Even in imperfect states, he calls us to reason together, that we may find a way to continue together. While sin separated us from the Lord, he sent Christ down that we may be reconnected. His death tore the veil, allowing us to enter into his very presence. We have access to the king on the throne. This is a privilege that was usually limited to the prophets, priests and kings. This is reference to prayer that is said for yourself, or praying alone. But you, when you pray, enter into your room, and when you have shut your door, pray to your Father who is in secret; and your Father who sees in secret shall reward you openly. The concept of a prayer closet is one that is concerned with not making a spectacle of your prayer. Your Heavenly Father sees in secret and rewards you openly. No one should know what you have prayed for or are praying for, what is the purpose of that. If you are seeking accolades from man for praying, your reward will come from man and not from the Lord. God looks for the heart behind the prayer, not just the words. Your words, your voice and poise may be impressive to onlookers, but God’s eyes are on something entirely different. Your prayer closet allows you to be alone with God, in a place that you could truly and completely be vulnerable. There is no one watching you, but God. This is a concept that was brought to our tv screens in the movie, War Room. If you want to learn about prayer, I’d encourage you to watch it. Another closely linked concept is that of finding a place to consistently meet with the Lord. Bill Hybels’ teaching called “Coffee with God” is one of our favourites in this. Watch the video below. 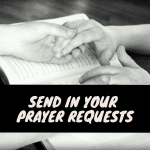 Prayer request refer to things that you may ask others to stand with you in prayer for. For instance, if you are unwell, you may have a prayer request for your health and recovery. We are called to support one another in prayer. James 5:16 says PRAY ONE FOR ANOTHER. Prayer requests allow us to not pray vaguely or amiss. They layout people’s needs, so we would know what we ought to be asking the Lord for on their behalf. Prayer Points refer to things that one plans to pray for. These are usually accompanied by scripture. You may have prayer requests added to your prayer points. What is a Prayer Warrior? A prayer warrior is a person that devotes themselves to spending time in prayer. This is usually done for the purpose of interceding. Prayer warriors stand in the gap, and pray for things that no one may have considered praying for. 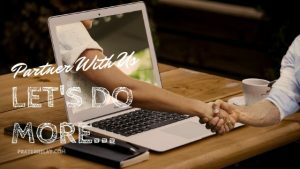 What is a Prayer Partner? A prayer partner is someone that you pray together with. This is usually set over a long period. There are no set Christian prayer times. The closest we come to that is shown in the book of Daniel, where it is recorded that he prayed 3 times a day. Most Christian dutifully do that today, but not at a specific time for the most part. Prayer times are certainly worth encouraging as they build routine and discipline. 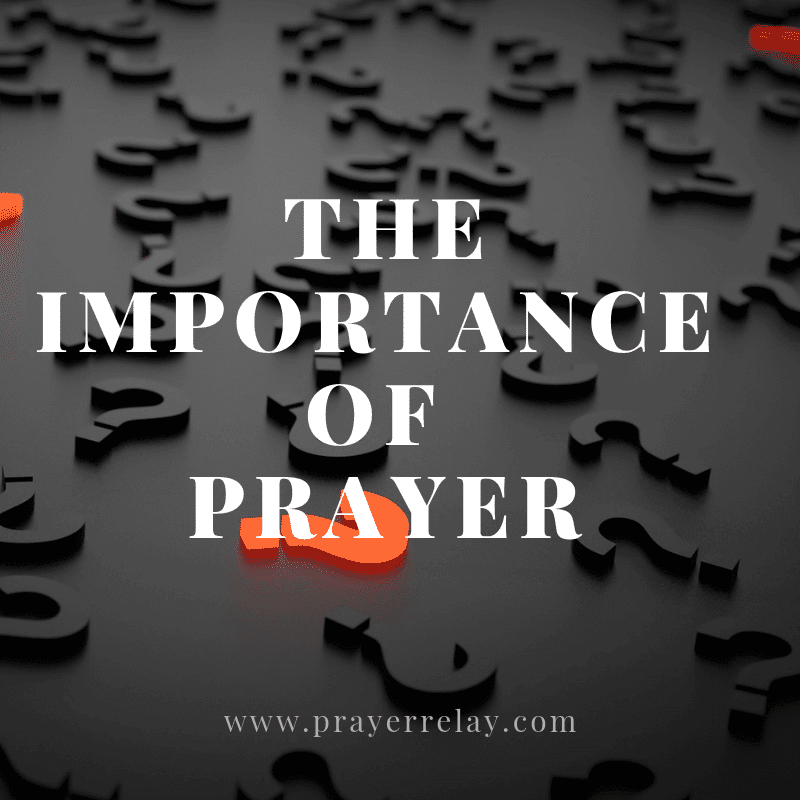 Why is prayer so important? There are many reasons that one can give to explain this. The very first thing is that prayer is a yield of control. God invites all who are weary and heavy ladened. His promise is that he will give them rest. We live in a fast paced world, and are in constant motion and commotion. A lot is asked on us, lives are more and more demanding. Everyday we are confronted by an influx of information, bad news, pressure and so on. We need that rest that the Lord has asked for. If for nothing else, the importance of prayer is in getting that much needed rest. Prayer is an anchor, a foundation for all that we build. John Bunyan put it well, after prayer, more can be done. God enables us while we pray. We come out refreshed, renewed and replenished. Prayer changes things. It is a thermostat. It kicks things off. We may never even see the spark that prayer starts, but we sure will see the fire that results from it. Peter saw the angel that came to fetch him, but he didn’t see the prayer that fetched that angel. William Bridges said that a praying man can never be miserable because he has the ear of God. If we have no other reason for the importance of prayer, William Bridge sums up the significance of prayer. Just to have God’s ear! Even when we ask for things that are not in his will, he still listens. There was a prophet named Balaam in the bible. He went against God’s will in his requests. God listened! He will pay attention to you, although his answers are tied to his principles. This may mean that you may not get the response that you want, but he hears you. The world is busy, at times we have no one who hears us, on top of all the noise. The importance of prayer is that you have a constant audience with an able God! Scripture is packed with instances and examples of God’s character. He delights in giving good gifts to his children. We have not because we do not ask God. Our world’s default is that of “each man for himself”, which puts us in a place where we want to solve and fix everything ourselves. It’s a dog eat dog world that we live in. How much better would it be if we had someone who was guaranteed to always be fighting our corner? This is what God guarantees. Learn to ask. God encourages us to ask of him. The ones who learned to lean on God, and not on their own understanding are juggernauts of the faith. King David is a great example. Whatever you take before God, no words are wasted. We may ask for the wrong thing, we are humans after all, but God knows our hearts. He will grant what we asked for or what we should have been asking for in the first place. James 5:16Therefore confess your sins to each other and pray for each other so that you may be healed. The prayer of a righteous person is powerful and effective. There is cause and effect. Prayer is the cause of the effective change that we may seek from the hand of the Lord. That is what makes prayer so important. We often have to prepare what to say to our loved ones. That is the nature of our relationships. With God it is different, our prayers do not have to be perfected prior to being brought before him. Bring them in their rawness. but at the sincerity of your prayers, how hearty they are. What is a Prayer Warrior? How to be a Prayer Warrior?